The argument that the doctrine of the Trinity is not true because the exact word “Trinity” is absent from the Bible is very sloppy at best. 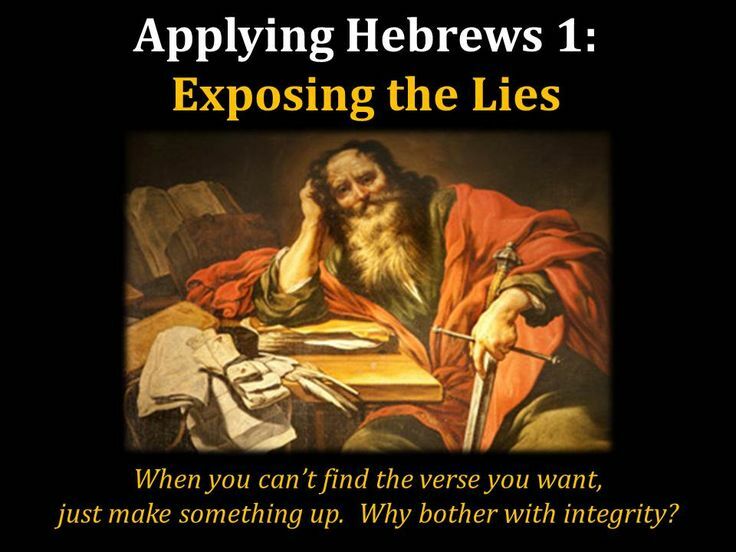 The basic problem is that all the scriptures that support this false doctrine are almost always taken out of context. 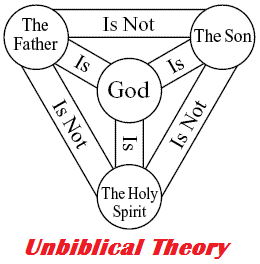 The Basic Idea of the Doctrine of Trinity states: Trinity is three separate “persons” in one divine substance: Father, Son (Jesus Christ), and Holy Spirit. There are not three Gods, but one. This simple idea goes against the interpretation of Deuteronomy 6:4 “Shema Israel, Adonai Elohim, Adonai Ejad”. This Hebrew term “Ejad” means only one indivisible unit. The next verses are suppose to support this doctrine according to the people who believe in this idea, but in reality they refute the same doctrine. Lets see John 1:12 “But as many as received him, to them gave he power to become the sons of God, even to them that believe on his name”. So anyone who loves Yeshua is also “the son or daughter of the Living God”. It is not an exclusivity of Yeshua, the Messiah of Israel. Titus 2:11-14 “For the grace of God that bringeth salvation hath appeared to all men, Teaching us that, denying ungodliness and worldly lusts, we should live soberly, righteously, and godly, in this present world; Looking for that blessed hope, and the glorious appearing of the great God(,) and our Saviour Jesus Christ; Who gave himself for us, that he might redeem us from all iniquity, and purify unto himself a peculiar people, zealous of good works“. See the “Comma” after the “great God”, it should be there. Why? Because If Yeshua is the Almighty it should read “the great God and Saviour Yeshua Ha Mashiach“. But it does not says so. The same applies to 2 Peter 1:1 “Simon Peter, a servant and an apostle of Jesus Christ, to them that have obtained like precious faith with us through the righteousness of God, and our Saviour Yeshua Ha Mashiach”. Also in both cases the greek word for “or” exists in the manuscripts, even when in certain translations is taken out. In 1 Kings 17:22 “And Adonai heard the voice of Elijah; and the soul of the child came into him again, and he revived“. Great miracle! The name of Elijah comes from the Hebrew name Eliyyahu meaning “my God is YAHWEH”. Elijah was a Hebrew prophet and miracle worker. Is Elijah God too?. Naturally not. Colossians 2:8-12 “Beware lest any man spoil you through philosophy and vain deceit, after the tradition of men, after the rudiments of the world, and not after Christ. For in him (Yeshua) dwelleth all the fulness of the Godhead bodily. And ye are complete in him, which is the head of all principality and power: In whom also ye are circumcised with the circumcision made without hands, in putting off the body of the sins of the flesh by the circumcision of Christ: Buried with him in baptism, wherein also ye are risen with him through the faith of the operation of God, who hath raised him (Yeshua) from the dead“. Both verses Col 2:9 and Phi 2:6 mean that in Yeshua the Messiah of Israel dwelleth all the fulness of the Godhead. There is something divine about him (Yeshua). But that does not mean that Yeshua is the Creator of the Universe. Remember who “raised Yeshua from the dead?”. We also as it says in 2 Peter 1:4 “are partakers of the Divine nature“. Yeshua is not the only one. And for sure we are not the Creator of the Universe. Psam 45:1-9 “My heart is inditing a good matter: I speak of the things which I have made touching the king: my tongue is the pen of a ready writer. Thou art fairer than the children of men: grace is poured into thy lips: therefore God hath blessed thee for ever. Gird thy sword upon thy thigh, O most mighty, with thy glory and thy majesty. And in thy majesty ride prosperously because of truth and meekness and righteousness; and thy right hand shall teach thee terrible things. Thine arrows are sharp in the heart of the king’s enemies; whereby the people fall under thee. Thy throne, O God, is for ever and ever: the sceptre of thy kingdom is a right sceptre. Thou lovest righteousness, and hatest wickedness: therefore God, thy God, hath anointed thee (the KIng) with the oil of gladness above thy fellows. All thy garments smell of myrrh, and aloes, and cassia, out of the ivory palaces, whereby they have made thee glad. Kings’ daughters were among thy honourable women: upon thy right hand did stand the queen in gold of Ophir“. In the quote of Psalm 45 David is refering to an earthly king (probably Saul) and how Elohim is the guide and power behind that earthly throne. David is not talking about the Messiah of Israel to come, unless Yeshua had a daughter like it says in Psalm 45:9. 1 John 5:18-21 “We know that whosoever is born of God sinneth not; but he that is begotten of God keepeth himself, and that wicked one toucheth him not. And we know that we are of God, and the whole world lieth in wickedness. And we know that the Son of God is come, and hath given us an understanding, that we may know him (God) that is true, and we are in him (God) that is true, even in his Son Jesus Christ. This is the true God YHWH(no Yeshua), and eternal life. Little children, keep yourselves from idols. Amen”. 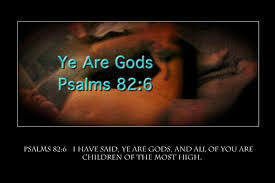 As you can see “this is the true God” does not refers to Yeshua. 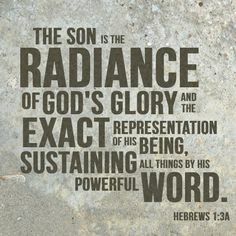 Hebrews 1:1-6 “God, who at sundry times and in divers manners spake in time past unto the fathers by the prophets, Hath in these last days spoken unto us by his Son, whom he hath appointed heir of all things, by whom (YHWH) also he made the worlds; Who (Yeshua) being the brightness of his glory, and the express image of his person, and upholding all things by the word of his power, when he had by himself purged our sins, sat down on the right hand of the Majesty on high; Being made so much better than the angels, (but not better than God) as he hath by inheritance obtained a more excellent name than they. For unto which of the angels said he at any time, Thou art my Son, this day have I begotten thee? And again, I will be to him a Father, and he shall be to me a Son? And again, when he bringeth in the firstbegotten into the world, he saith, And let all the angels of God worship him”. According to these verses Yeshua was made better than the angels of Heaven, but never better than the Creator of the Universe. 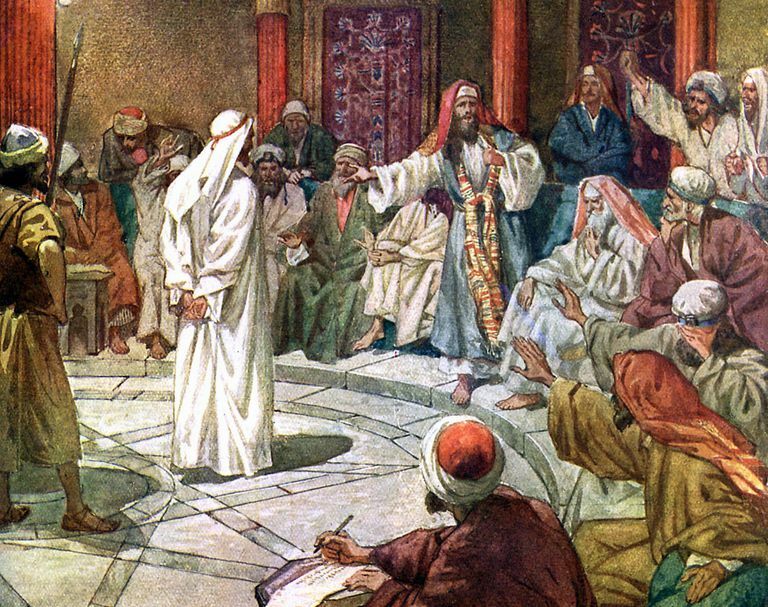 Matthew 26:59-66 “Now the chief priests, and elders, and all the council, sought false witness against Yeshua, to put him to death; But found none: yea, though many false witnesses came, yet found they none. At the last came two false witnesses, And said, This fellow said, I am able to destroy the temple of God, and to build it in three days. And the high priest arose, and said unto him, Answerest thou nothing? what is it which these witness against thee? But Jesus held his peace. And the high priest answered and said unto him, I adjure thee by the living God, that thou tell us whether thou be the Christ, the Son of God. 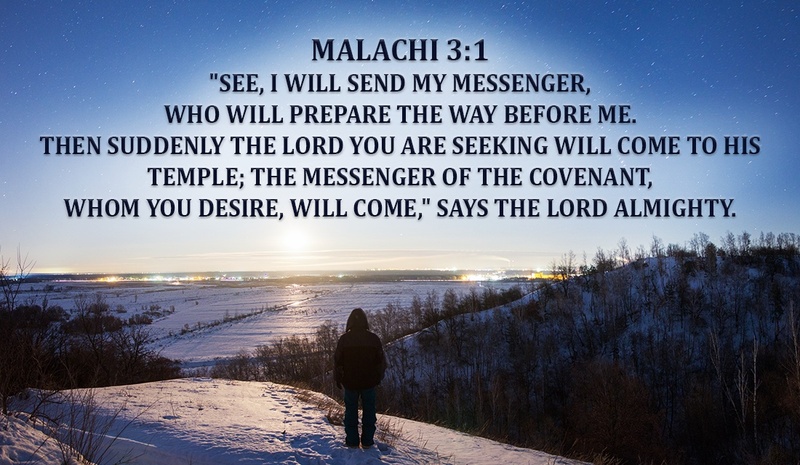 Jesus saith unto him, Thou hast said: nevertheless I say unto you, Hereafter shall ye see the Son of man sitting on the right hand of power, and coming in the clouds of heaven. Then the high priest rent his clothes, saying, He hath spoken blasphemy; what further need have we of witnesses? behold, now ye have heard his blasphemy. (WHAT BLASPHEMY?) What think ye? They answered and said, He is guilty of death”. 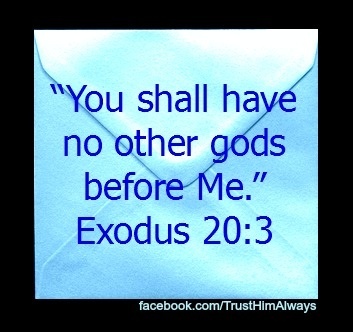 Yeshua never once said that he was the Almighty. 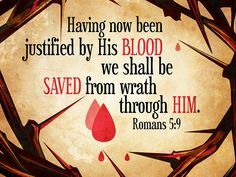 Romans 9:3-5 “For I could wish that myself were accursed from Christ for my brethren, my kinsmen according to the flesh: Who are Israelites; to whom pertaineth the adoption, and the glory, and the covenants, and the giving of the law, and the service of God, and the promises; Whose are the fathers, and of whom as concerning the flesh Christ came, who is over all (Everyone), God blessed for ever. Amen”. As you can see in the text “God blessed for ever.” is just an expression, a final one, no more than that. 10. 1 Timothy 3:16 “And without controversy great is the mystery of godliness: God was manifest in the flesh, justified in the Spirit, seen of angels, preached unto the Gentiles, believed on in the world, received up into glory. In the KJV the word after godliness is Theos ( God -G2316), but in the New Translations instead of Theos (God) appears the word “Who” (G3739). So the frase should be “Who was reveled in flesh“. Translation’s errors. 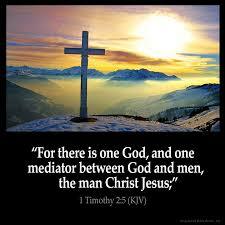 As you can see in 1 Timothy 2:5 Man Yeshua, not God Yeshua is the one mediator between Elohim and humanity. Thanks for your comment Steffan. We are not Modalist/oneness. We believe that Elohim is the Creator of all things, the Holy Spirirt is the power of Elohim in the universe and Yeshua is the Torah (the Logo) that was made human and lived amoung us as the Messiah of Israel. Yeshua is not God, but its a being created of divine nature. Blessings.